In Introduction to Prime Numbers, we conjectured that the number of prime numbers is decreasing as the counting numbers increase. In this post, we discuss intuitively that there is no greatest prime, or that there are infinitely many prime numbers. Before proceeding with our discussion, it is noteworthy to remember that a number can either be prime or composite. We also know that composite numbers are product of primes. 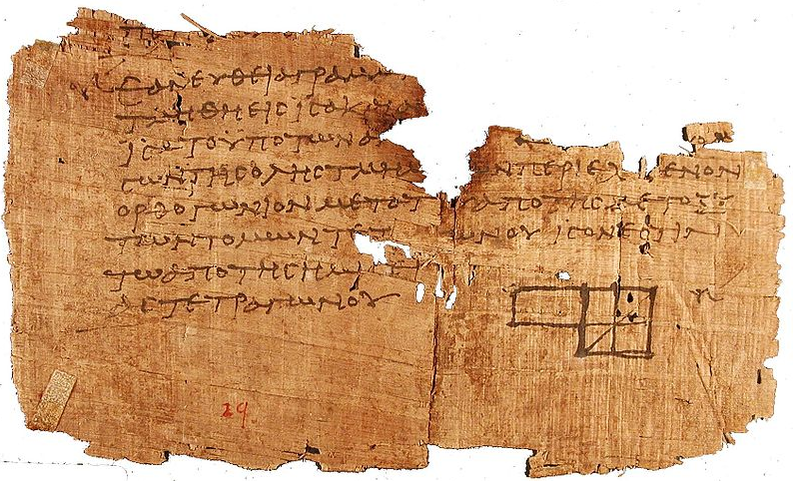 Fragment of the original "Elements" by Euclid (via Wikimedia).